MarketSaw - 3D Movies, Gaming and Technology: Romantic Comedy 40 BELOW AND FALLING Shooting In Native 3D 4K - Yours Truly A Producer! 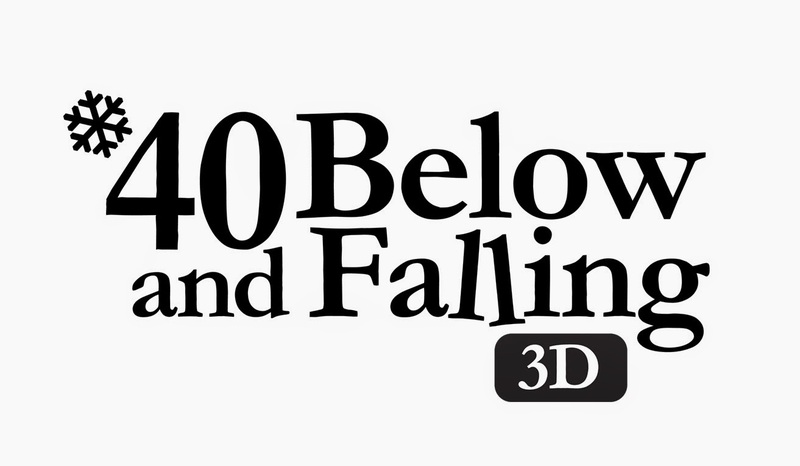 Romantic Comedy 40 BELOW AND FALLING Shooting In Native 3D 4K - Yours Truly A Producer! I am so very excited to finally announce that I am a producer on our soon to be shot romantic comedy 40 BELOW AND FALLING 3D starring Jewel Staite (FIREFLY, SERENITY, THE KILLING) and Shawn Roberts (RESIDENT EVIL, X-MEN and EDGE OF DARKNESS). I'm working with an outstanding team of individuals led by Executive Producer Darren Arsenault, Producer Andrew Scholotiuk; and Director Dylan Pearce - this is definitely a movie you'll want to see. Our stereographer Dylan Reade has done amazing work with IMAX (HUBBLE 3D, UNDER THE SEA 3D, JOURNEY TO THE SOUTH PACIFIC) and I'm looking forward to see the magic that he and Pierce will create in the Canadian west. 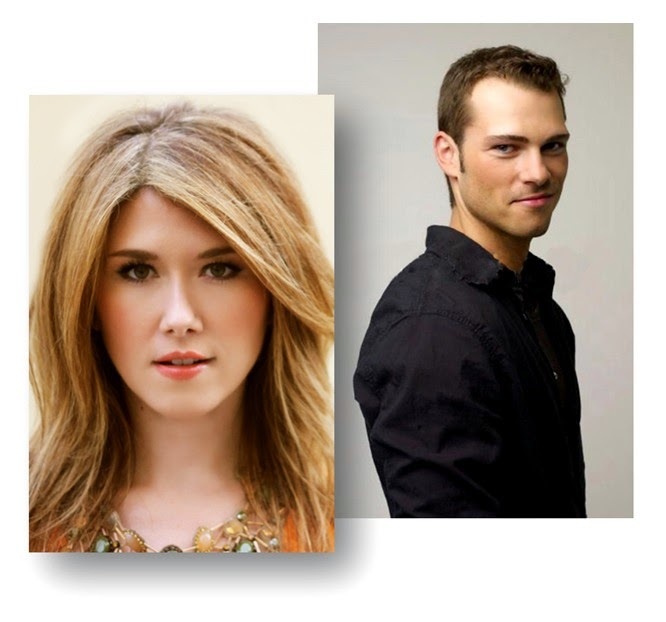 Casting Jewel Staite as Kate and Shawn Roberts as Redford is a perfect combination for the story - their personas that you've seen thus far in their careers amplify the characters in 40 BELOW. 40 BELOW AND FALLING is going into principal photography this month in gorgeous native 3D and in 4K on location in stunning Alberta, Canada. Be sure to check out our website 40belowandfalling.com, Facebook and Twitter. It’s not the latest Canadian weather forecast, but the title of the newest feature film being brought to you by innovative production company 12pt Media. Directed by Dylan Pearce, the Romantic Adventure/Comedy will be unique to its genre, being one of the first ever to be shot in both 2D and 3D. Whether or not you’re a fan of heavy snowfalls, this feature film will leave you falling in love with winter. Starring high in demand Canadian actress Jewel Staite (series regular on Joss Whedon’s hit TV show Firefly and his feature film Serenity, and star of the AMC/Netflix drama series The Killing) and Canadian actor Shawn Roberts (star in the hit movie franchise Resident Evil, co-star in Edge of Darkness, and X-Men) – 40 Below and Falling tells the story of Kate Carter, a teacher from a small, Northern Canadian town, who is moving back to the big city for her wedding. After quitting her job and packing up her life, Kate feels certain that this is the future she has always wanted – that is until her flight gets cancelled by a blizzard and she meets a surly stranger named Redford. With all road travel being suspended, Kate is forced to hop on the back of Redford’s snowmobile and embark on an adventure that will leave her questioning the decision she has made about the man she is set to marry. The movie will capture the beauty of the Canadian Rockies, small town Alberta, and the city of Edmonton, all with groundbreaking 3D 4K technology brought to life by production company 12pt media. 12pt Media is a new company run by – Producer Andrew Scholotiuk, Executive Producer Darren Arsenault, and Director Dylan Pearce. Previous works include the Canadian and international hits I Think I Do and Baby Blues. 40 Below and Falling is also produced in association with the Edmonton Film Fund, The Alberta Media Fund and The Canadian Film or Video Tax Production Credit Program and Associate Producer Jim Dorey - host of the online 3D site MarketSaw.com. The film is currently scheduled to be broadcast in Canada on Super Channel in the fall of 2015, with an international release being handled by distributor DARO Films out of Monaco. Stay tuned for more exciting news as winter unfolds on our set of 40 Below and Falling! Rest assured I will have some very interesting interviews, behind the scenes videos, clips and more.